Rx Biosciences Glycogen is a highly purified polysaccharide derived from oysters. 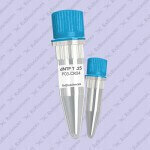 It is most widely used as an inert carrier which significantly increases the recovery of nucleic acids by alcohol precipitation. Being insoluble in ethanol, Glycogen forms a precipitate that traps target nucleic acids. During centrifugation, a visible pellet is formed, which greatly facilitates handling of the precipitated nucleic acids. Glycogen quantitatively precipitates nucleic acids from diluted solutions with a higher efficiency than that of tRNA, linear polyacrylamide, or sonicated DNA. Highlights: DNAse, RNAse and protease free! 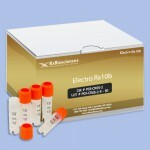 – Ideal for high recovery of oligonucleotides (> 8 bases) and low amounts of DNA/RNA (> 20 pg) from diluted solutions – Forms clearly visible pellets – Does not interfere with spectrophotometric or Fluorometric determination of DNA/RNA concentration – Does not interfere with enzymatic reactions – Does not interfere with gel electrophoresis of nucleic acids – Compatible with DNA transformation and in vitro transfection. 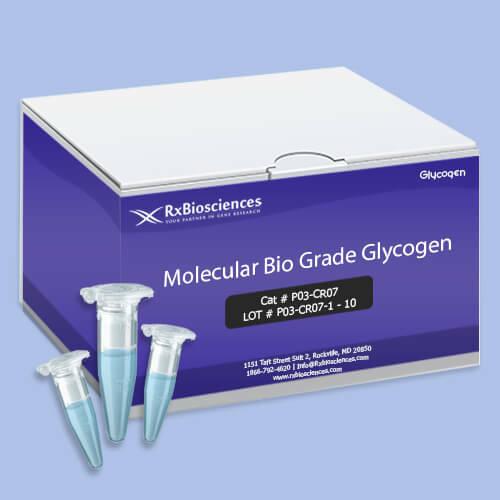 Please note that at a final concentration up to 8 µg/µL Glycogen does not interfere with PCR, DNA sequencing, DNA digestion, ligation, cDNA synthesis, DNA labeling, in vitro transcription, or bacterial transformation. At a final concentration up to 0.4 µg/µL Glycogen does not affect in vitro transfection of eukaryotic cells.